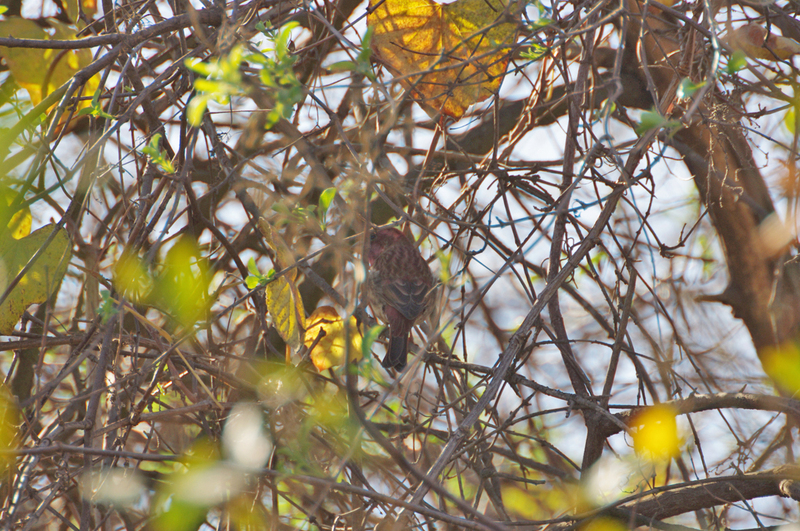 The Purple Finch is the bird that Roger Tory Peterson famously described as a "sparrow dipped in raspberry juice." For many of us, they're irregular winter visitors to our feeders, although these chunky, big-beaked finches do breed in northern North America and the West Coast. Separating them from House Finches requires a careful look, but the reward is a delicately colored, cleaner version of that red finch. 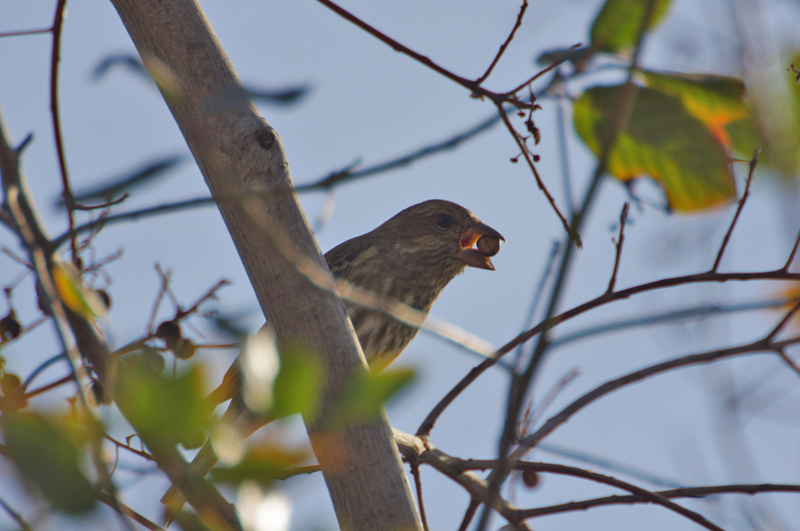 Look for them in forests, too, where you're likely to hear their warbling song from the highest parts of the trees. The oldest recorded Purple Finch lived to be 11 years 9 months old. Among the small forest birds like chickadees, kinglets, and nuthatches, Purple Finches are large and chunky. Their powerful, conical beaks are larger than any sparrow's. The tail seems short and is clearly notched at the tip. 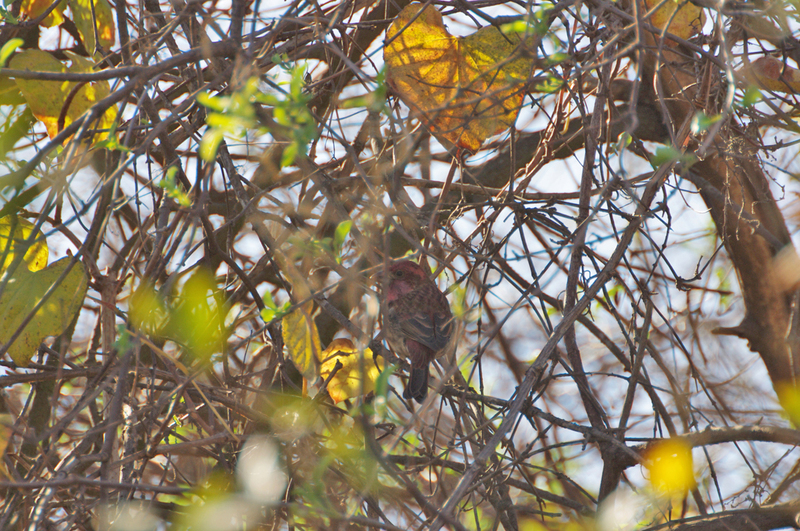 Purple Finches breed mainly in coniferous forests or mixed deciduous and coniferous woods. During winter you can find them in a wider variety of habitats, including shrublands, old fields, forest edges, and backyards. Purple Finches readily come to feeders for black oil sunflower seeds. You'll also see them in forests, where they can be noisy but hard to see as they forage high in trees. In winter they may descend to eat seeds from plants and stalks in weedy fields. Their flight is undulating. 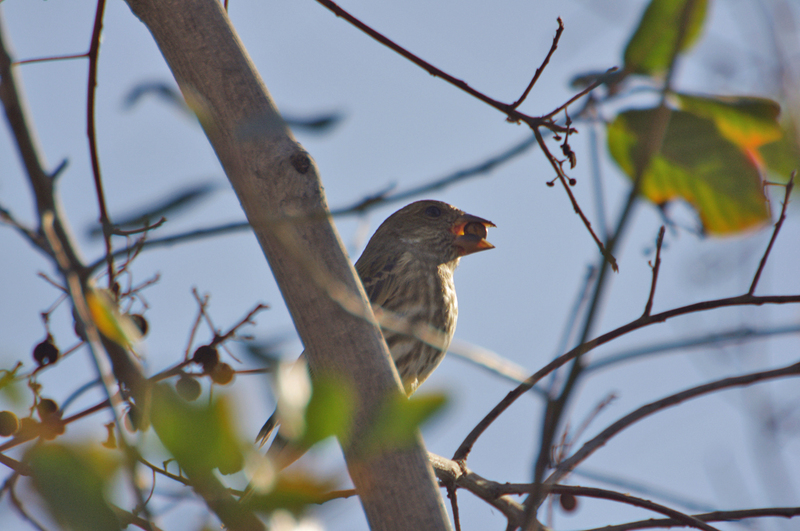 Purple Finches eat mainly seeds of coniferous trees and elms, tulip poplars, maples, and others. They also eat soft buds, nectar (extracted by biting the bases off flowers), and many berries and fruit, including blackberries, honeysuckle, poison ivy, crabapples, juniper berries, cherries, and apricots. In winter you may see Purple Finches eating seeds of low plants like dandelions, ragweed, and cocklebur. They eat some insects, including aphids, caterpillars, grasshoppers, and beetles. Wootton, J. Timothy. 1996. 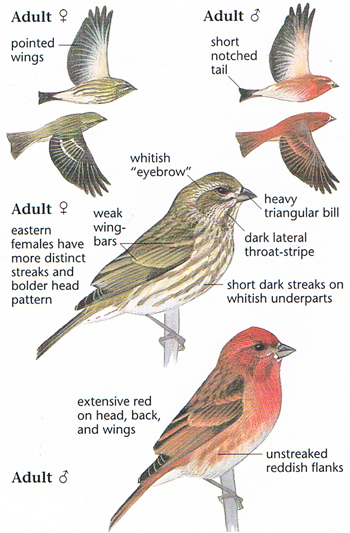 Purple Finch (Carpodacus purpureus), The Birds of North America Online (A. Poole, Ed.). 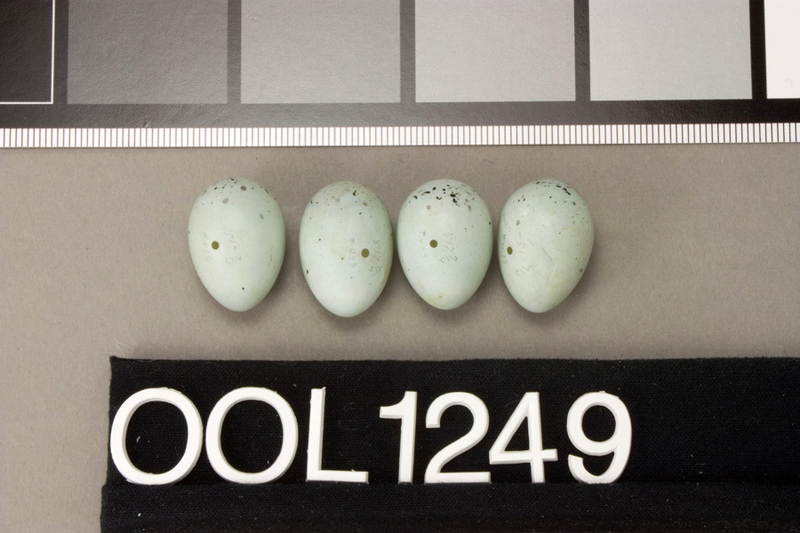 Ithaca: Cornell Lab of Ornithology; Retrieved from the Birds of North America. Ehrlich, P.R., D.S. Dobkin, and D. Wheye. 1988. The birder's handbook. Simon & Schuster Inc., New York.